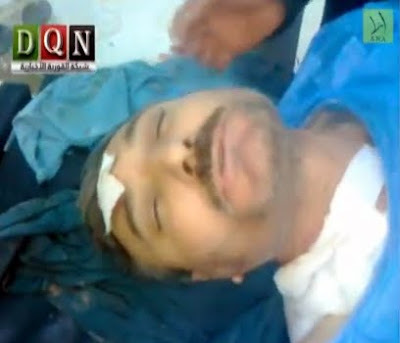 Col. Riad al-Asaad, founder and commander of the Free Syrian Army (FSA), was critically wounded and his aide killed early today by the explosion of a magnetic bomb believed to have been attached to his car’s front, right-hand passenger seat while on a visit to the rebel-held al-Mayadeen township near Deir Ezzor. Asaad lost his right leg in the explosion but is reported to be in a stable condition at a hospital in Turkey. Rebels on the ground say Asaad was moved to a hospital in Turkey after undergoing an emergency operation at a field hospital in the Deir Ezzor countryside. They say the car explosion occurred next to Mayadeen’s electricity company and public garden. The FSA’s Military Council says it has not yet established the circumstances of the car bomb explosion. 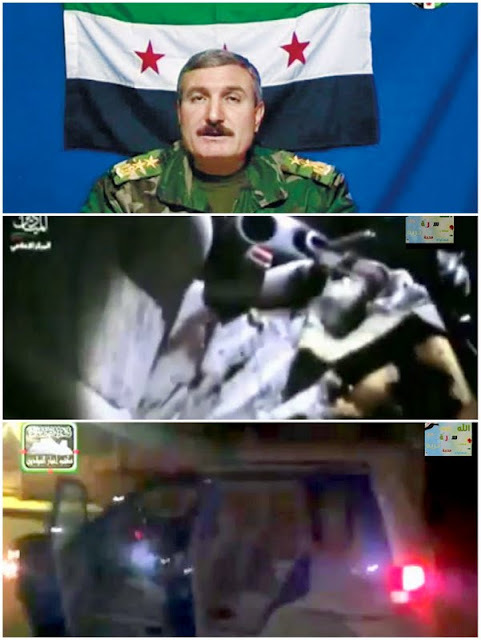 Asaad, who was a former colonel in the Syrian Air Force, announced his defection to Turkey on July 4, 2011 and announced the establishment of the Turkey-based FSA 25 days later. At its founding, the group said it would seek to "work hand in hand with the people to achieve freedom and dignity, topple the regime, protect the revolution and the country's resources and stand up to the irresponsible military machine which is protecting the regime." Though still poorly armed, FSA fighters are launching increasingly deadly and audacious attacks on regime forces in most parts of Syria, and even on the outskirts of Damascus.